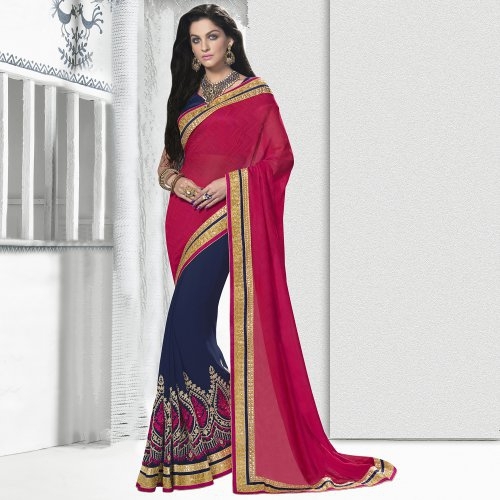 Show off your dynamic pesonality to the world by draping into this lively Blue and Pink color party wear designer saree.This party wear saree is engrafted on jacquard georgette fabric and beautifully adorned with fancy embroidery and border work. This saree will give an appealing look to the wearer when clubbed along with fancy accessories. The saree comes along with raw silk fabric unstitched blosue piece.Note:Slight variation in actual color vs. image is possible.